Home News and Updates Why did the Clan Chest go away in Clash Royale? 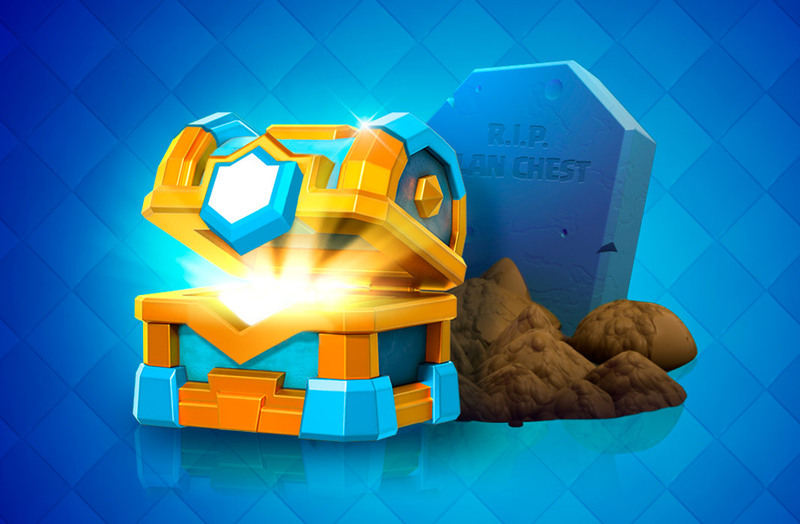 The next update for Clash Royale will do away with Clan Chests, ending one of the best ways to get new cards in Supercell's hit game. Players around the world come together each weekend in Clash Royale to take part in intense battles in order to fill up their Clan Chest. That weekly ritual is about to come to an end, since Supercell has just announced that Clan Chests are going to go away in the next update. It’s a decision that’s going to have big implications for all clans in the game. The announcement via the official Clash Royale blog came as quite a surprise to the community. Fortunately, the rewards from the Clan Chests are not going to completely disappear: they are going to add need functions to the game that give players access to all those cards and gold. Granted, for now they aren’t saying what exactly those new features will be. Only one thing has been officially confirmed by Supercell: this new feature will give access to rewards that are much greater than what’s currently available in the Clan Chest, although at first it will be smaller. It’s a fairly ambiguous phrase that has lead many players to speculate as to what the new feature might be. New weekly events with 2 vs 2 battles? A completely new game mode with a separate ladder? The reasons they gave for getting rid of Clan Chests has to do with it becoming more of a passive feature, making it less exciting than originally intended. That’s sort of up for debate, since many players look forward to it each and every weekend. But they have confirmed that the new function will add a registry of clan activity, so you can see who has the biggest impact on your clan’s performance. The only thing to do is wait for the next Clash Royale update to hit and see what surprises it brings.